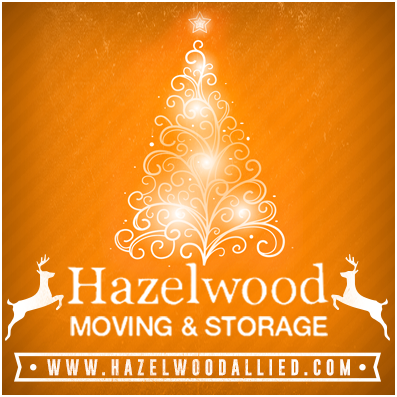 Season’s greetings from Hazelwood Allied Moving and Storage. The McCann family would like to thank their friends, family and customers for helping to make them one of Santa Barbara’s most trusted movers. 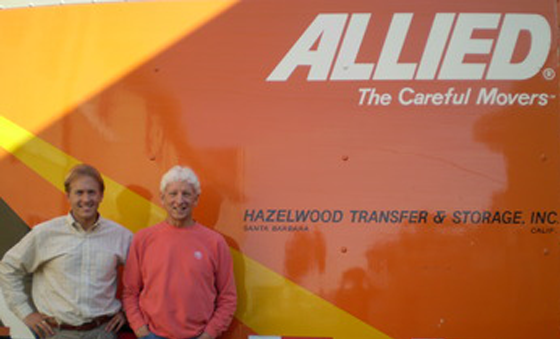 We have enjoyed a successful 2015 and were thrilled when our affiliates, Allied Van Lines, were awarded the Women’s Choice Award from WomenCertified Inc. earlier this year. We pride ourselves in always maintaining their high standards of business practice, earning us our A+ ranking with the Better Business Bureau on a consistent basis. As one of Santa Barbara's oldest family-owned companies we are more than just a business, we are part of the community. We were proud to participate in this year’s Foodbank of Santa Barbara County’s End Summer Hunger campaign to help provide meals for children in need. Thank you to everyone who helped to make this program a success! Tree Safety: If your holiday decor includes a tree, there are several key safety concerns you must keep in mind. When selecting a real tree be sure it is fresh upon purchase. If it is shedding copious amounts of needles when shaken or the branches are brittle, it is not a safe choice. Be sure to keep your tree fresh by watering daily and always vacuum any stray needles. Location is also essential to tree safety. Whether using a real or artificial tree, be sure to set it up well away from any source of heat such as heating vents, candles or fireplaces. Also avoid blocking high traffic areas and secure firmly in an approved tree stand. Holiday Lights: Purchase quality lights that meet government safety standards. Before installation it is important to carefully inspect all wires and bulbs for any sign of wear or damage. Replace any burnt bulbs to avoid shorting the entire string and always follow manufacturer’s recommendations. Never overload electrical outlets and take care that extension cords are safely secured. Decorations: When decorating for the holidays, always be mindful of safety issues when deciding on ornament placement. Follow age guidelines and place smaller and more fragile decorations out of reach of small children and pets. Holiday Food Safety: It is imperative not to forget safe food handling practices amidst the excitement of the holidays. Cook all meats to the recommended internal temperature and wash hands and all work surfaces regularly. Stuffing should be cooked separately and only placed in the turkey near the end of cooking to ensure the bird is cooked through. Keep all cold foods chilled before service and never consume perishable food items that have been left at room temperature over two hours. Leftovers should be stored in airtight containers and refrigerated promptly. Gift Safety: When gift shopping, particularly for the young ones on your list, it is important to keep safety in mind. Always buy age appropriate toys and inspect them to make sure they are in proper working order. Check that all safety standards are met and take each child’s size and abilities into consideration when choosing a present. Also don’t purchase excessively loud toys as they can damage a small child’s hearing with prolonged exposure. Nightly Snowfall - The entire family will enjoy the nightly snowfall at Paseo Nuevo! Share some holiday magic daily at Center Court, final show will be Christmas Eve at 5 & 6 pm. Christmas Dinner at OSK - The Organic Soup Kitchen is hosting an authentic Italian dinner on Christmas day. From noon until 3pm. A special holiday guest will be in attendance! Let It Snow! - Experience holiday magic at the Paseo Nuevo nightly snowfall. This free show runs at Center Court Monday-Friday at 7&8 pm and Sundays at 5&6 pm. We are so grateful to have clients like you and wish you all a joyful holiday season and a healthy and prosperous 2016.